WASHINGTON — Concerns are mounting that a continuing decline in ridership could lead Metro to slash bus service. Instead of boosting bus lanes and other improvements all across the region, several people involved in the analysis for Metro’s Bus Transformation Project are concerned Metro may simply use it as cover to significantly cut Metrobus service in many areas, even if certain routes elsewhere do end up with some better service. “Ridership has stabilized on the rail side, it is declining on the bus side,” General Manager Paul Wiedefeld told the Virginia General Assembly Joint Commission on Transportation Accountability on Wednesday. He blamed ride hailing, increased telecommuting and other issues for a continuing decline in bus ridership — a trend that he is not hopeful will reverse anytime soon. Rail ridership remains down about 150,000 trips each weekday, compared to a decade ago, but Wiedefeld expects that ridership could slowly return in coming years, given more development around stations, and increased returns from Metro’s ongoing repair work. Usage of the bus and rail system is relatively even — approximately 600,000 trips per day on rail, and 400,000 on Metrobus. Virginia State Sen. Frank Wagner, a Republican who represent Virginia Beach, asked Joint Commission on Transportation Accountability staff to examine whether Metro could declare bankruptcy in order to break agreements and obligations to union workers, including their pension plan. “If we could have someone also research bankruptcy laws, and what actions despite the compact … what authority a bankruptcy judge would have in changing everything if that was forced into that situation,” he asked committee staff. Del. Tim Hugo, who represents areas in Fairfax and Prince William counties, asked Wiedefeld if bankruptcy is possible. “Could you declare Chapter 9? Would that get around some of this? Bankruptcy? That’s an option isn’t it,” Hugo asked. Wiedefeld seemed somewhat surprised by the question. “I wouldn’t know … I haven’t looked at it,” Wiedefeld said. Wiedefeld added that there is no bankruptcy attorney working for Metro today. More than two years ago, Metro did hire turnaround specialist Kevyn Orr as an adviser to Wiedefeld on finances, labor negotiations and efforts to get more tax dollars for the agency. “This situation is out of control up here, and it needs something, and I don’t know whether that something is Virginia digging in and saying, ‘You know what? No more!’,” Wagner said. Any proposal for bankruptcy to avoid pension and other post-employment benefits obligations that the Metro Board has underfunded for decades would likely create problems for the bonds Metro plans to issue with the backing of new dedicated capital funding approved this year, Del. Vivian Watts, a Democrat representing Fairfax County, said. Watts, a former state transportation secretary, said that capital repair work is critical to bringing Metro ridership back and ensuring that the transit system remains a strong economic driver for the Washington area. “I’m not going to cut off my nose to spite my face, knowing the value of the Metro system to us not just the region,” Watts said. With the work requiring continued 24/7 shutdowns though, including a total closure of the Blue and Yellow Lines south of Reagan National Airport next summer, Watts said it will have more of a long-term beneficial impact on ridership than short-term. Del. Scott Garrett, a Republican who represents Amherst and Bedford counties, seemed to want more immediate results, with a ridership turnaround plan soon. Wiedefeld is set to officially unveil his budget proposal for the upcoming budget year over the next few weeks. Wagner grew up in Arlington. Wagner, Del. Dave LaRock (R-Frederick, Loudoun, Clarke counties) and Hugo pushed Wiedefeld for more privatization. “Has anybody even talked about saying why don’t we go out for bid and privatize the whole damn system and see what those cost comparisons (are) and whether the system will run better?” Wagner said. Wiedefeld has moved to use contractors even more frequently than Metro has in the past, including for the new Cinder Bed Road bus garage in Northern Virginia and potentially for operations on the second phase of the Silver Line to Dulles Airport and Loudoun County that is due to open in 2020. 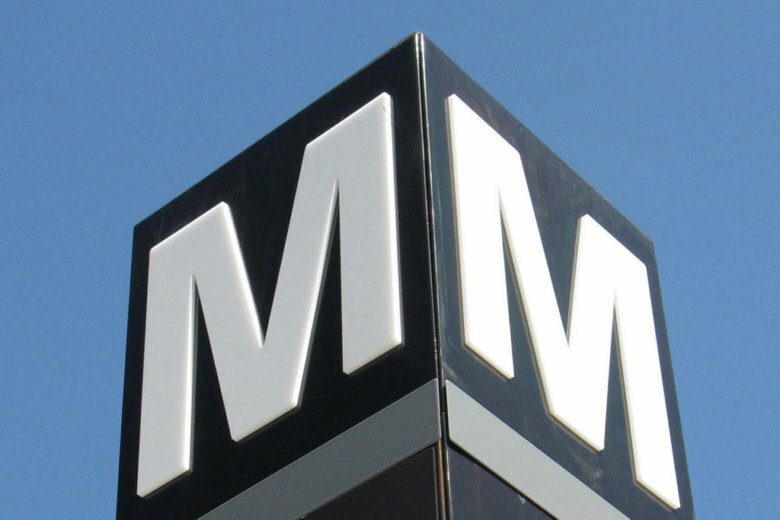 Metro’s largest union said Friday, though, that an arbitrator had determined private contracting of the bus garage operations violated Metro’s agreements with Amalgamated Transit Union Local 689. A Metro official with knowledge of the pending arbitration ruling disputed the union’s characterization of the decision, which is not yet final. The ruling, the official said, actually acknowledges Metro’s ability to contract work and continue with the Cinder Bed Garage contract. Metro had claimed the $89 million contract awarded to TransDev this summer would save Metro $15 million over the next five years in management costs and long-term reductions in benefits for contractors compared to employees. It is a trial balloon for contracting out Silver Line service. Metro considered five proposals for the contract, but rejected a sixth offered by ATU Local 689. The union filed a grievance challenging Metro’s authority to contract out the work, and said union pay and protections should apply at the garage even if Metro hires TransDev to manage the facility. “I’m not sure how we get some of these core issues until we start to get around the table and understand our future’s at stake together to solve these things. We are in the competition of our life. We are no longer a utility; people have lots of other options,” Wiedefeld said. “Our future depends on us driving ridership,” he said.